💥 Are you a developer, engineer, designer or startupper in #tech? The #WTM19 Summit is just around the corner with tech talks, panels and workshops on Artificial Intelligence, Machine Learning, Augmented Reality, Android, Google Assistant, Firebase, Tensorflow.JS, Dialogflow, Angular, Diversity and tips for a succesfull career in technology. 👉 2 Googlers, 8 Google Developer Experts, 2 Career Tech Consultants and many more speakers will be on the stage of “Women Techmakers Summit | IWD 19”. Don't miss it! 🎟️ The entrance is FREE to everyone interested in this year’s topics, but registration is required. Book your ticket now at 👉 bit.ly/iwd19_athens. ◾ 17:30 | Machine Learning - Angular can Learn, too! Are you interested to meet and have a Face2Face discussion on tech topics with the speakers of #WTM19 Summit? Fill in the form 👉 bit.ly/iwd19_f2fmeetings and join us at the "Workshop’s Area”. An interactive workshop - A Google initiative to improve yourself promotion motivation and skills. Fill in the form 👉 bit.ly/iwd19_iamremarkable and join us at the "Workshop’s Area”. 💼 Career Hours | IT Recruiter Experts from Randstad Hellas will present current open vacancies and tips to build a nice CV and rock at the job interview. 50+ open dev positions are waiting for you! 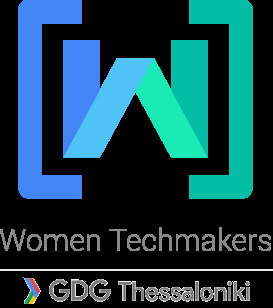 Women TechMakers (WTM) Greece is powered by GDG Thessaloniki and our actions follows the mission of Google’s worldwide program of women techmakers. WTM provides visibility, community, and resources for women in technology to drive innovation and participation in the field. Are you organizing IWD 2019 | WTM Greece Summit? Are you an organizer of IWD 2019 | WTM Greece Summit ?